When it comes to dogs, Seattle trends are easy to spot. Seattle dog parents: If you’ve got a Lab named Lucy, she may be a faithful, loving companion — but she’s not exactly unique. Analysis of Seattle Animal Shelter licensing data for the city’s 43,000 registered dogs shows that Labrador retrievers are the top breed, and Lucy is the top name — just as they were the last time we checked back in 2012. To be fair, Labs are wildly popular everywhere. They are, yet again, the No. 1 breed in the nation, according to American Kennel Club rankings released on Thursday (this is the 24th consecutive year Labs have held the title). 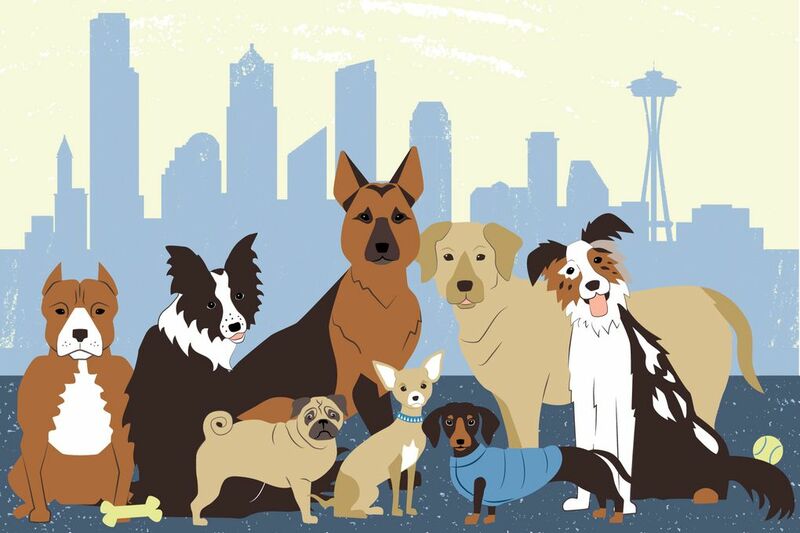 In Seattle, one out of seven dogs is a Lab, and the breed dominates all but two Seattle ZIP codes: Downtown’s 98101 and Pioneer Square’s 98104 — Chihuahuas hold court in both. While Lucy remains the top name for dogs here, it’s not by such a wide margin. Bella, Charlie and Buddy are, uh, nipping at Lucy’s heels. There are a total of 490 dogs named Lucy in the city, and that’s not including variants of the name, like Lucy Latte (could a dog name get any more Seattle?). But can you guess how many Labs named Lucy there are in Seattle? Want to know more about the dogs of Seattle? Scroll down to check out the rankings and lists we created using the dog licensing records, and explore the data on our interactive map of Seattle ZIP codes. If you’d like to play around with the data, here’s a direct link to the spreadsheet on Google docs. This version has been (mostly) cleaned up of typos and inconsistencies.